And so set sail for Tarshish. Before long there was cause for concern. The ship’s sailors were scared. As God put Jonah’s faith to the test. 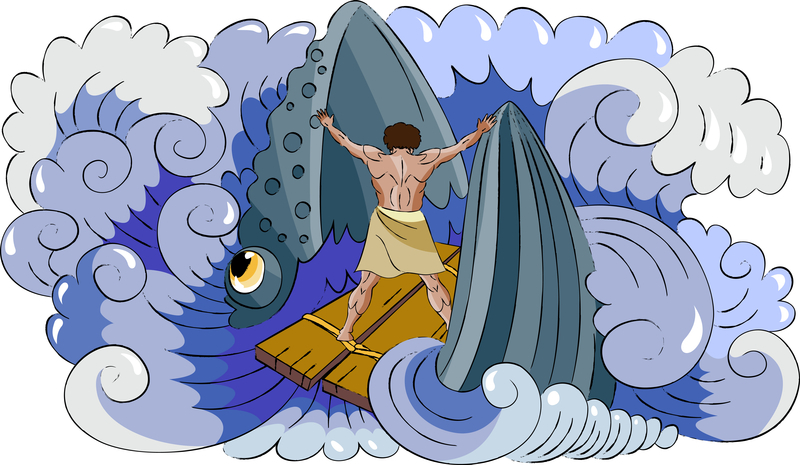 But, reluctantly, they obeyed Jonah’s wish. To let Jonah from jail. Because [His wishes] Jonah did spurn.